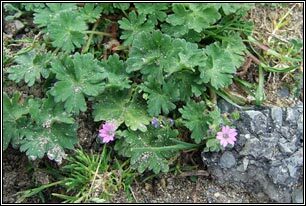 Flowering time: April-September. Annual. Native. 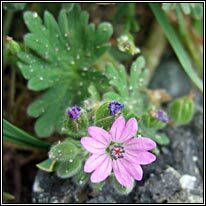 Pink flowers, deeply notched, petals longer than sepals. 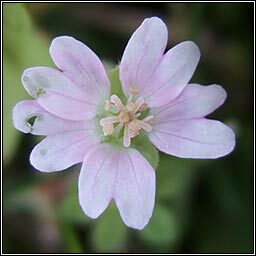 Occasionally pale pink. 10 stamens (photo below right). Hairless, ridged fruit, smooth seeds. 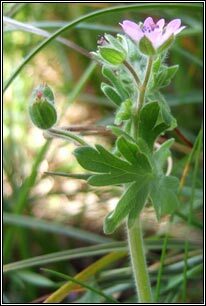 Leaves grey-green, rounded / kidney-shaped, 5-7 lobes, each 3-lobed at top. 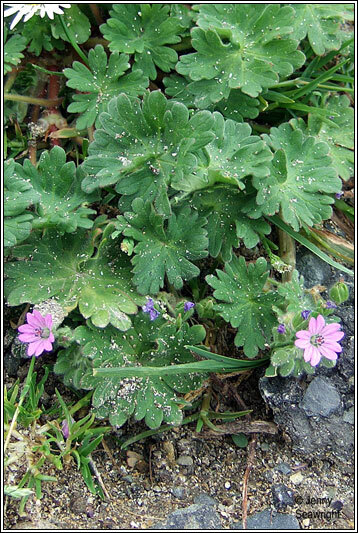 Dry sandy or calcareous soil. 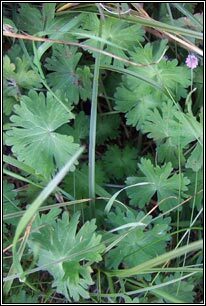 Grassland, dunes, arable, waste ground. 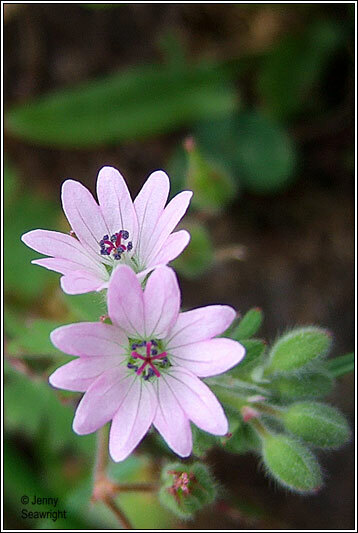 Small-flowered Crane's-bill, G. pusillum. 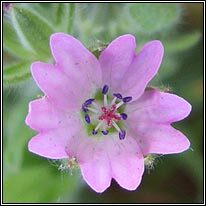 Mauve-pink flowers, only 5 stamens. 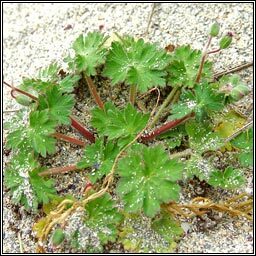 Round-leaved Crane's-bill, G. rotundifolium. Netted seeds. Petals barely notched.